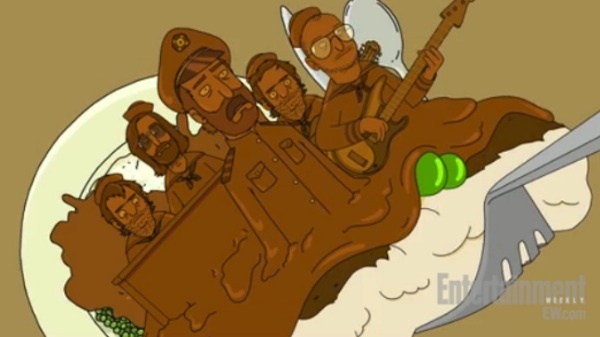 The National, Bob’s Burgers, and an undying love for gravy come together in a genius and mouth-watering new music video that arrives just in time for Turkey Day. The Fox comedy has created an animated clip of the Brooklyn rockers performing “Sailors in Your Mouth”, a song that appeared on the show’s Thanksgiving episode last weekend. It’s equal parts meditative and amusing, delightfully delicious and festive, and hey, you get to see frontman Matt Berninger captain a freaking gravy boat. What more could you ask for? Dig in and watch at EW.com. Believe it or not, this isn’t the first time The National and Bob’s Burgers have crossed paths. 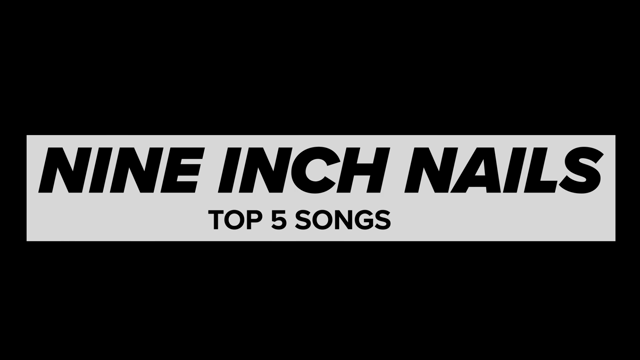 The band participated in last year’s Thanksgiving episode, and one of the show’s writers, Scott Jacobson, directed The National’s video for “Conversation 16”. Below, listen to the band’s “Thanksgiving Song”.